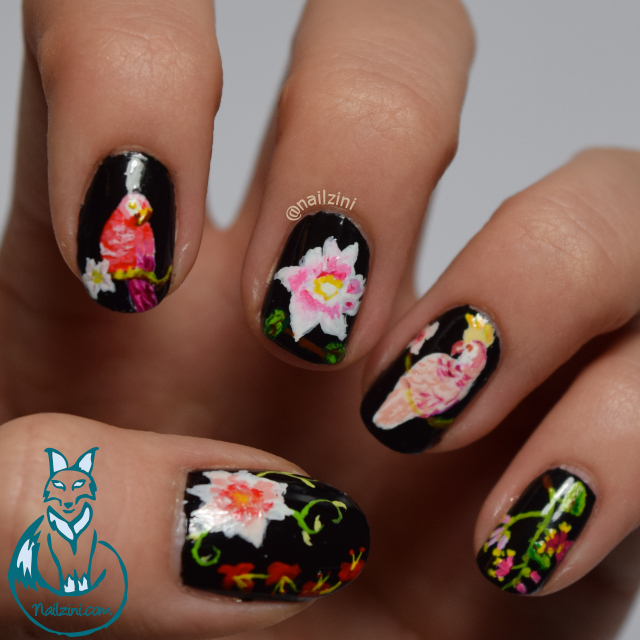 I saw an awesome wallpaper in a store which inspired me to create this mani. 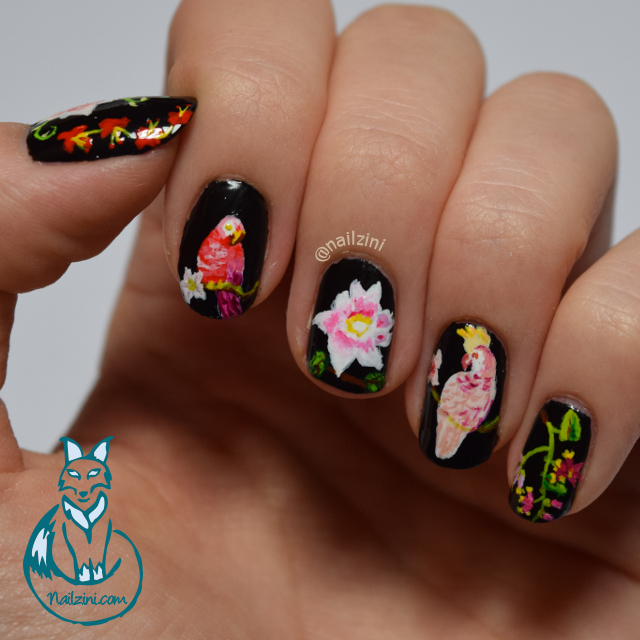 The colorful flowers and parrots looked so amazing against the black background I just to do something with it. The base is two thin coats of a nameless black polish by Biocura. I have to admit I have never heard of the brand before and have no clue where to buy it since it was given to me by a friend. The application is smooth but a bit gooey. There is full-coverage with the two thin coats and I believe one thick coat would also be enough. 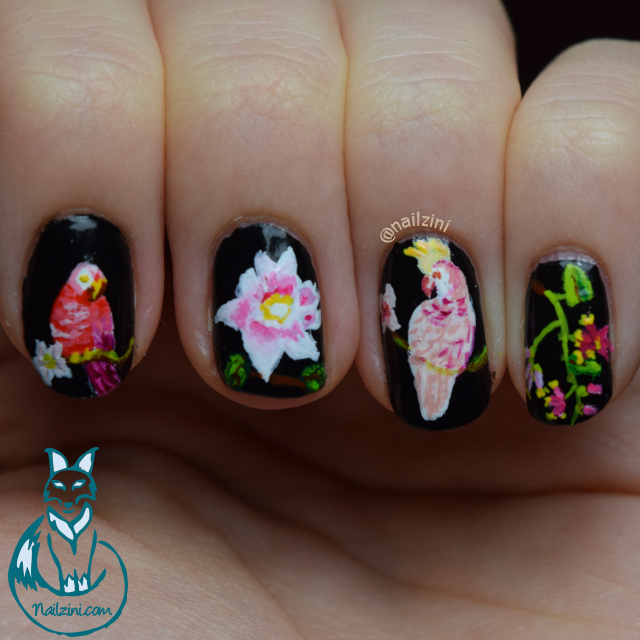 The parrots and the flowers are hand painted with acrylic paint from Amsterdam. 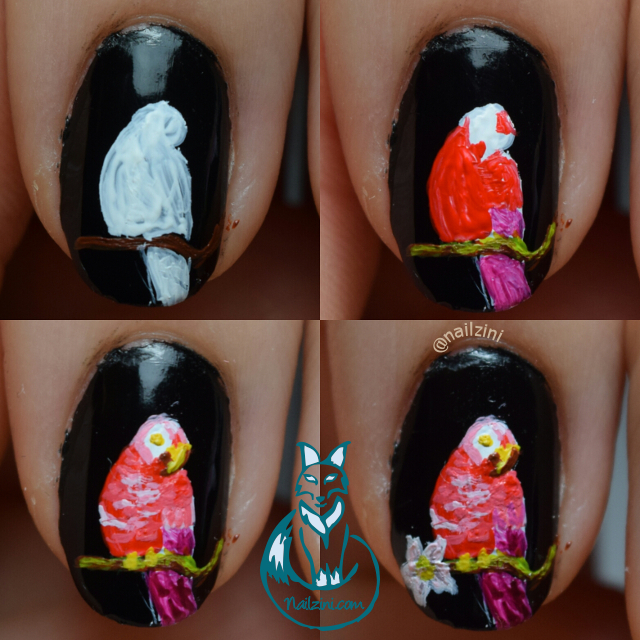 The brush I used is from Stylish Nail Art Shop but I did alter it a bit to make it thinner. The top coat is one coat of "Insta-Dri" by Sally Hansen. Here is a little pictorial for the parrot.